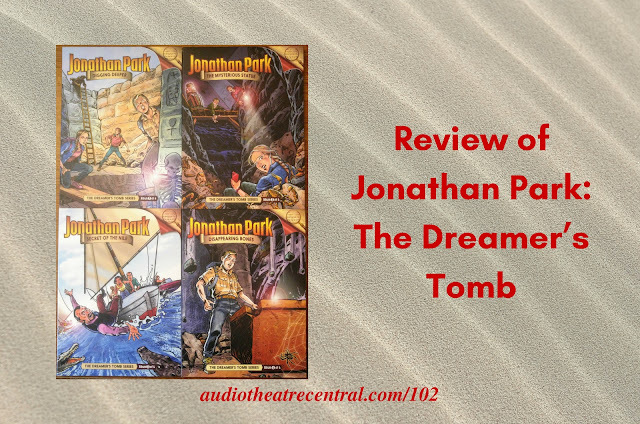 Today we dive into a review of Jonathan Park: The Dreamer's Tomb. This is the first collection of 12 episodes released since the restructuring of the Jonathan Park team. In addition to the review, we also have lots of great audio drama tidbits, Roy has a packed newscast, and we have some feedback from Amber, Darby, and Noah. And thanks to Lee for reading the credits in this episode. JP Blog Post - "Why Jonathan Park has been Restructured"
Credits read by Lee Acim in episode 102.